[toc]Thyroid nodules are very common in men and women, but seem to occur more in women. These can be solid or fluid inside, and develop in your thyroid. Sometimes they are visible from outside as a swelling on the neck, but they can also be deep within your thyroid and can only be seen when an ultrasound is done. Thyroid nodules can be in different sizes and may be just one or quite a few. These are mostly non-cancerous, and only 5 to 10% cases are diagnosed as cancerous. Sometimes the doctors advise surgery or radioactive iodine treatment for thyroid nodules, but most often they may ask you to leave them alone and have them monitored on regular basis. In the meanwhile, you can try these natural cures to treat your thyroid nodules so that they don’t get worse. These remedies are easy to use and help treat your thyroid nodules completely. Seafood is rich in natural iodine and consumption of seafood regularly will help provide your thyroid gland with extra iodine. This is the perfect natural cure for thyroid nodules as iodine plays a very important role in their treatment. So, make seafood a regular part of your daily diet. Eat plenty of oily fish as well as other seafood that you prefer. Excess mucus can cause further harm to your condition if you have thyroid nodules. So, it is best to avoid mucus producing foods, such as margarine, deep fried foods, dairy products, and processed foods. This dietary change will surely benefit your condition and prevent it from worsening. If you have thyroid nodules, the condition can worsen if your immune system is compromised and there is an inflammation in your body. Sugar makes your immune system weaker and increases inflammation in the body. Therefore, it will be beneficial for you to reduce your sugar intake, or to completely stop sugar intake. This will be the best natural cure for the thyroid nodules and help prevent their enlargement. Ginseng is an herb used since ages in Chinese traditional medicine to treat many ailments. It contains compounds that are anti-inflammatory in nature and help in treatment of ulcers. 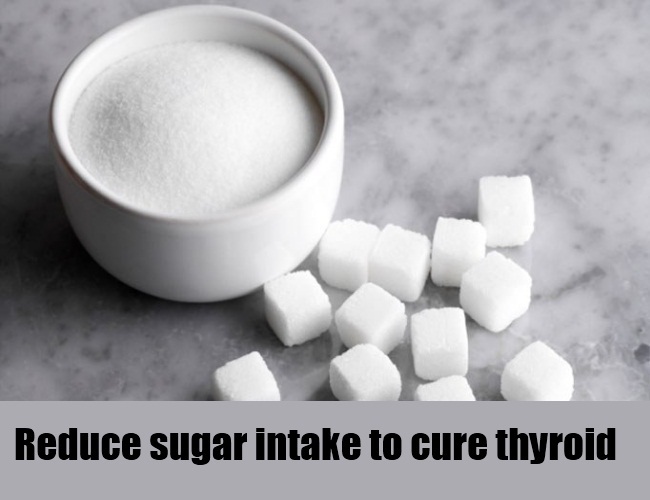 Taking it regularly will help shrink the thyroid nodules. This herb also helps you relax and gives a feeling of well-being. 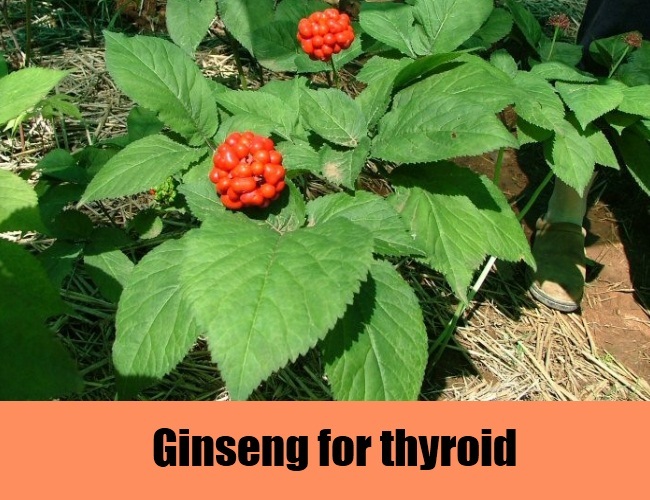 Take ginseng extract internally every day as it will help cure the thyroid nodules. 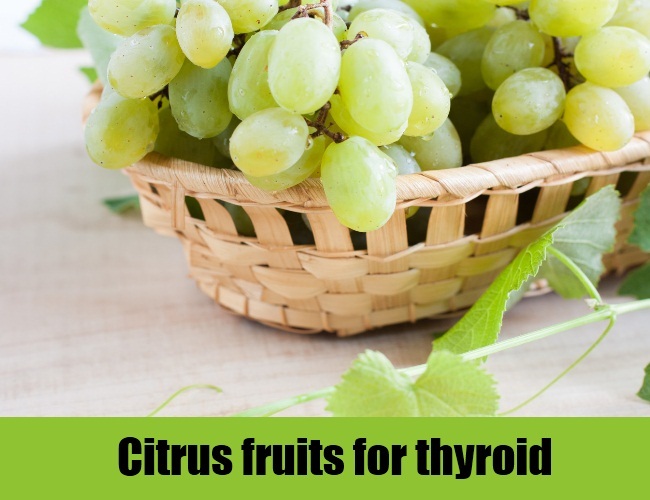 Citrus fruits are found to be beneficial in reducing mucus formation which can help in the treatment of thyroid nodules. Eat plenty of citrus fruits, such as lemons, limes, oranges, etc. everyday as it will help reduce the size of the nodules considerably. You can eat the fruits whole, or in juice form. They can also be added to tea to add flavour and get their best health benefits. 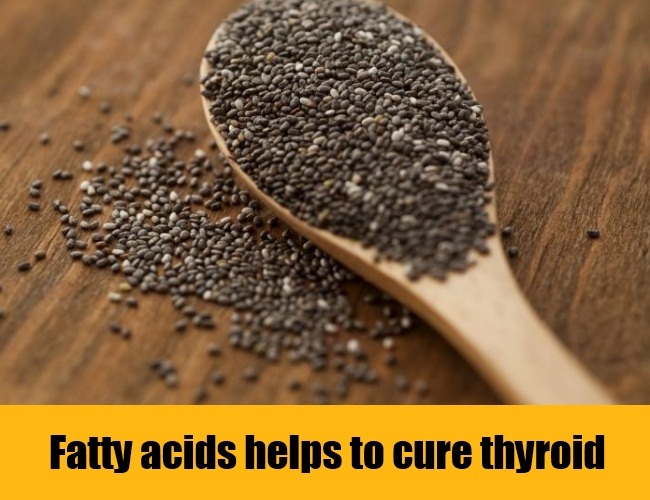 Fatty acids are found to be very beneficial as a natural cure for thyroid nodules. They help maintain tissue health and reduce inflammation. You should consume foods which contain essential fatty acids on regular basis. Nuts and seeds are known as the best natural sources of fatty acids and should be a part of your daily diet if you have thyroid nodules. Other sources that contain healthy fatty acids are avocados, chia seeds, macadamia nut oil, and virgin olive oil. 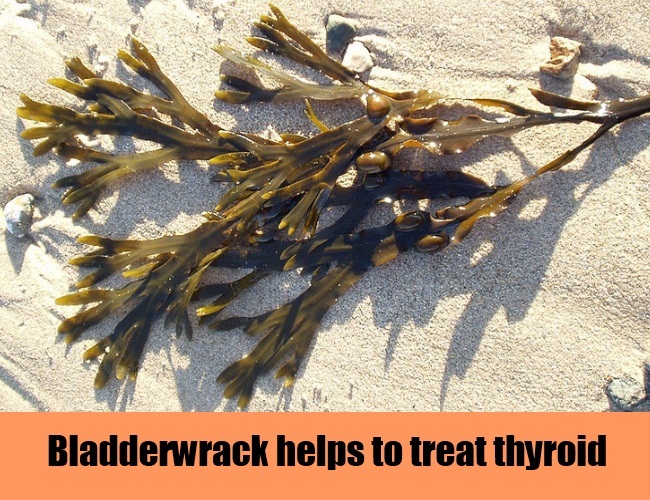 Bladderwrack has been used since ages to treat thyroid related problems. It is a seaweed and contains large amounts of natural iodine. 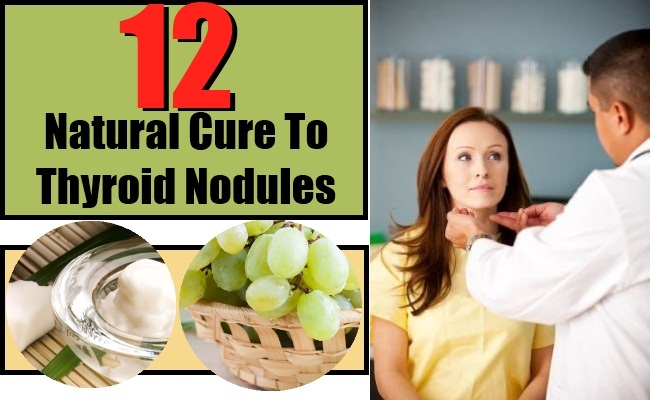 This makes it one of the most natural cures to treat thyroid nodules as iodine is required for proper functioning of thyroid glands and prevents diseases of the thyroid. This seaweed also contains the minerals magnesium, iron, zinc, etc which will help improve the health of your body tissues. Polyunsaturated oils that we use for cooking can have a very negative effect on our thyroid glands. In fact, studies indicate that they play a major role on the development of thyroid nodules and other thyroid problems in many people. Coconut oil is very healthy and free of polyunsaturated compounds. It helps aid metabolism which is the basic function of the thyroid glands too. 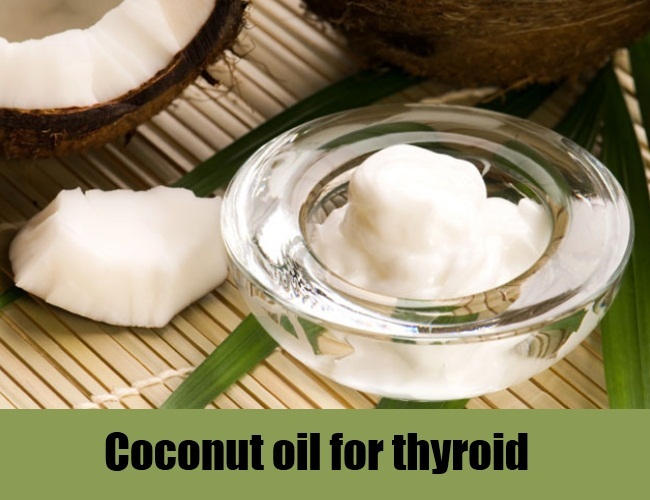 So, if you have thyroid nodules and your metabolism has taken a hit because of this, consuming coconut oil will be very beneficial for you. You can just swallow two tablespoons of virgin coconut oil daily, or sprinkle it over your food and salads. 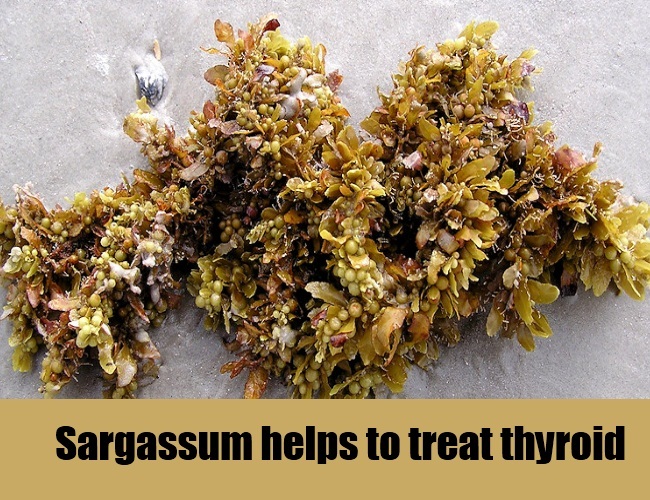 Sargassum is an herb that has been used as a Chinese traditional medicine for treating thyroid disorders. 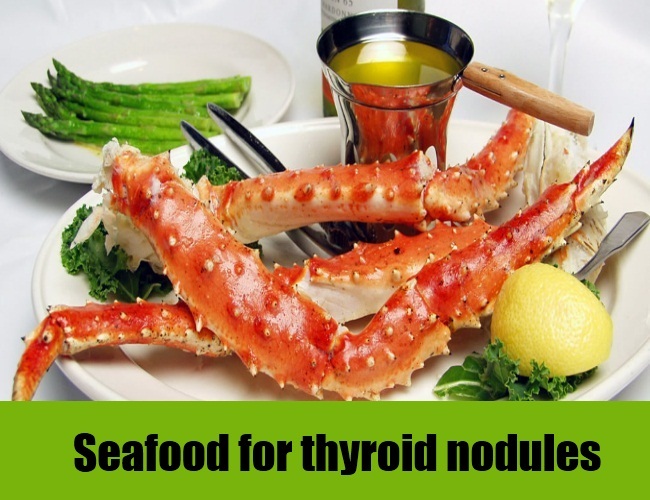 It is rich in iodine which is very beneficial in treating thyroid nodules as the very cause of their occurrence happens to be an iodine deficiency in many patients. So, increase your iodine intake by sipping on some sargassum tee every day. This will help shrink the thyroid nodules quite effectively when taken thrice a day regularly, and prevent their recurrences. The hormone progesterone plays a vital role in maintain the health of the thyroid gland in women. A deficiency in this hormone can cause the development of thyroid nodules. 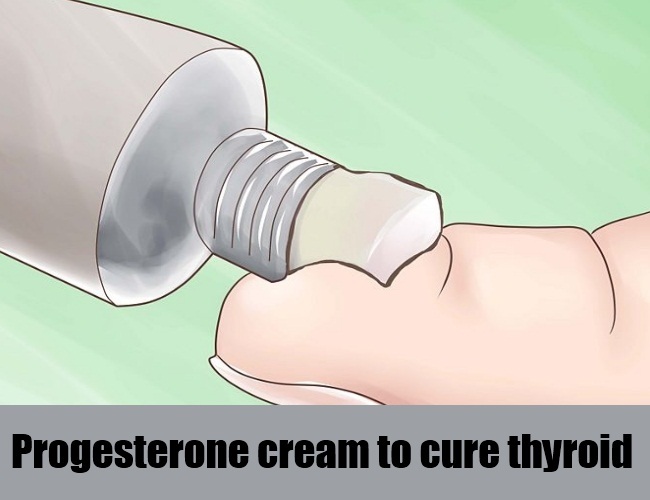 Hence, it is best to supplement your body’s natural progesterone level by using progesterone cream. This will help balance the disturbed levels of this hormone in your body and provide a natural cure for your thyroid nodules. 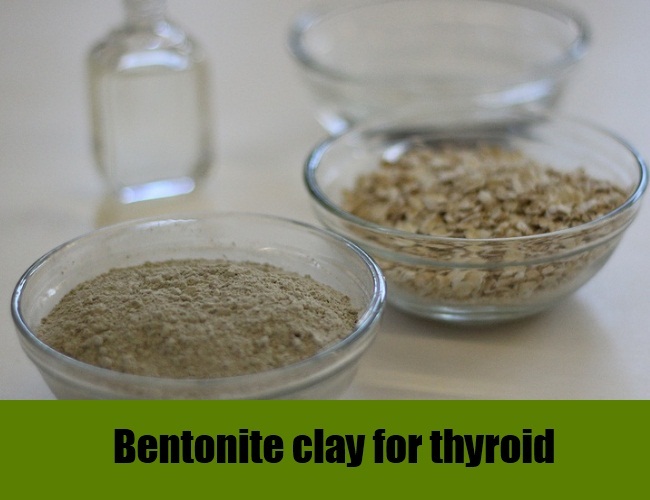 Bentonite clay is used popularly as an internal and external cleanser. It helps to remove accumulated toxins from your body, and brings a sense of well-being. This clay absorbs the toxins from your system and is easily passed out. You can drink a teaspoon mixed in water daily. Also, apply a clay mask of bentonite over your neck as it is said to absorb the harmful toxins. This will provide a natural cure to your thyroid nodules problem. 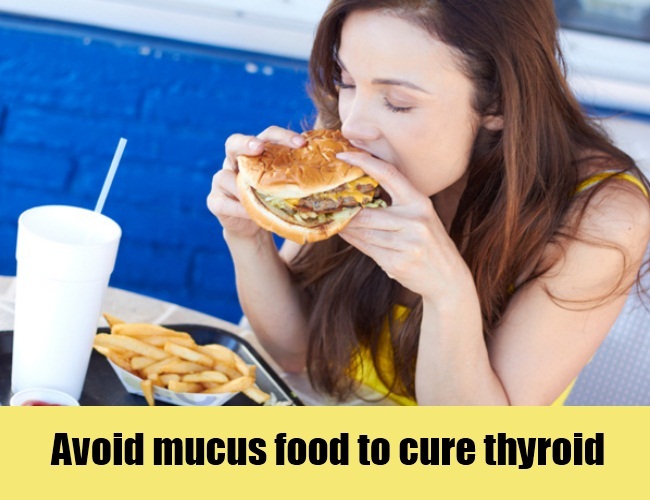 Excessive mucus can harm your condition further if you are suffering from thyroid nodules. 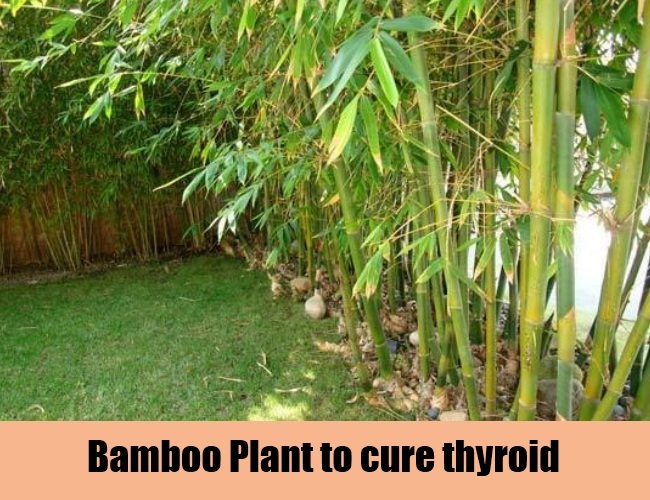 It is said that the edible part of the bamboo plant is very effective in reducing phlegm formation. So, it will be very beneficial for you to eat these regularly or consume in the form of hot tea. This will also prevent future recurrences of thyroid nodules in people susceptible to this condition. This entry was posted in Uncategorized on June 2, 2017 by The Health Coach.